In his first solo exhibition in New York City since 2000 Arthur Jafa expansively extends his exploration of ontological Blacknuss. In his first solo exhibition in New York City since 2000 Arthur Jafa expansively extends his exploration of ontological Blacknuss* as a generative and pluripontantial phenomenon—one capable of addressing the social stresses weight, fissures and breaks of being Black—and concomitantly, Black Being and Thingification—in the world. The range of media and sculptural forms utilized in the exhibition builds on Jafa’s ongoing, revelatory pursuit and mastery of lyrical expressive means to represent the recorded presence of shock, horror, trauma, transcendence and transgressive impulses in the history, performance and existential grip, of Blacknuss. Jafa’s provocative enshrouding in garments alluding to Jones’ utilitarian, wily and theatrical gender disguise furthers the artist’s detailed representation of sexual complexity and class-leaping daring within Black America and mock-horror at the same time within the imaginations of the nation’s allured and seduced lily upper crust. Jafa’s new video work, A Kingdom Come, serves up a visual paean to Black Christian worship ceremonies, tropes and rituals, and builds on Jafa’s anthological obsessions with sequencing flows of African American orality, music, stagecraft, and unbridled, electrifying performance into gripping cinematic tapestries. The sensuous release found in the melodramatic performance—musical and sermonic— of Black Christian faith compels Jafa’s symphonic focus in A Kingdom Come. The artist is also driven to display how the tribally sanctified spaces in which those forms of worship and spirited performance takes place are Black pocket-universes of intense energy, eloquence and illumination—ones that exist in simultaneous alignment and detachment from the poetics of Black political and popular culture but are as well-organized as those realms around the acquisition and consumption of material wealth for culturally redemptive purposes. 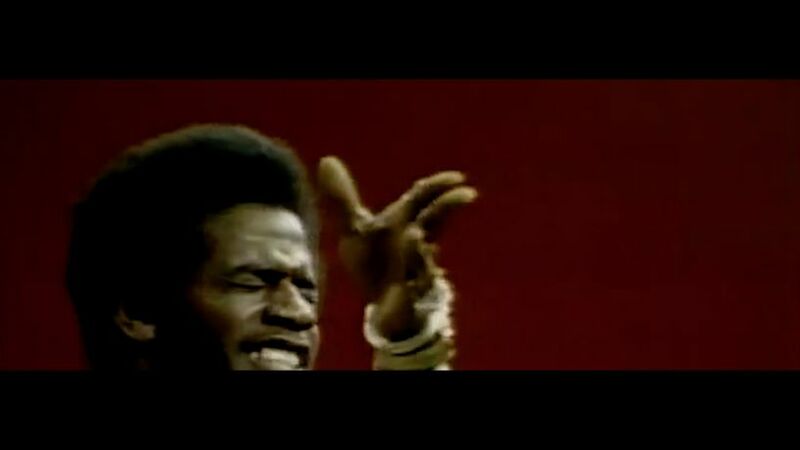 As with his triumphant and troubling video work, Love is the Message, The Message Is Death, Jafa deploys found footage in A Kingdom Come as a means of channeling his own primal obsessions with unbridled Black performance—particularly those rich, majestic and signifying shows of force found in predominantly Black-attended gatherings; how they eye-poppingly erupt on the screen as artfully cathartic, socially emancipatory, communally self-loving and subjectively self-possessed. The show’s sumptuous and generous photographic tableaux, APEX GRID provides a contemplative and static replication of his warp-speed video masterpiece of the same title. The shackled and scarred seven-foot truck tires seen in Big Wheels configure a return to thematics found in Jafa’s exhibitions from earlier in the century—visual conceits inspired by the native Mississippian’s long time homegrown fascination with demolition derbies and monster truck stadium shows. These works also speak to the artist’s perception of automotive and locomotive industry products as gestural markers and carriers of poetic, political resonances—as figurations emblematic of the Black modernity and futurism inscribed within the epic practices of the road tripping troubadours who created and propagated the soundtrack to Delta’s mobile blues culture. *per reeds man, composer and orator Rahsaan Roland Kirk’s grand rhetorical spelling on his 1972 Atlantic album of the same name.